If you have a large family like I do, you know about the two separate tables for dining: the adult table and the kids table. Sitting at the adult table as a kid can be exciting, especially for little kids, but sometimes there just isn't enough space! To remedy that, the kids get their own table, often a folding table or a kitchen table off to the side. 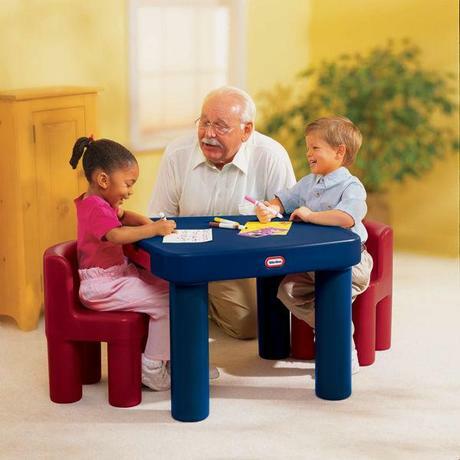 Some kids may not like being separated at their own table, but Little Tikes has the perfect solution: make a kids picnic table into a special Thanksgiving table! How fun would that be to eat at a 'picnic' table inside the house! Click here to view the table and chairs. This post contains affiliate links, which help to cover the costs of running this blog. Thanks!